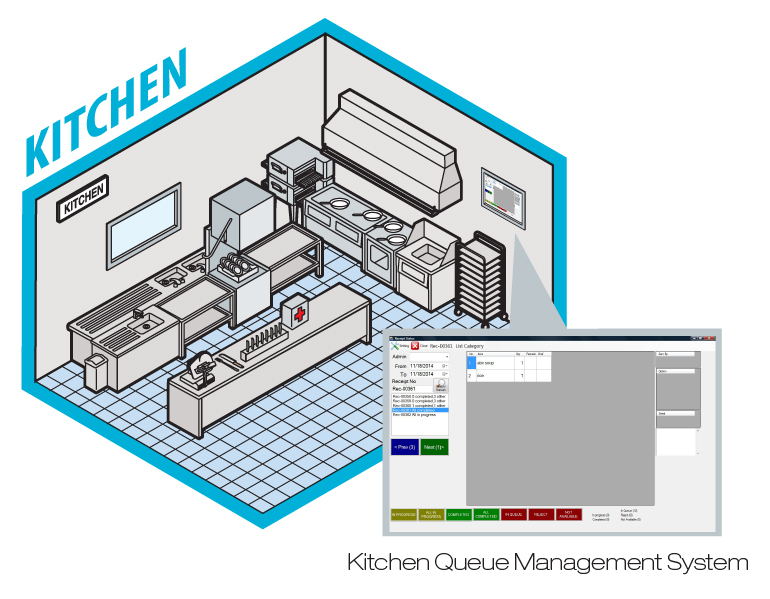 If you have any special requirements for BMO POS System Kitchen Queue Management System, suitable for F-n-B, please do not hesitate to contact us and share with us. We are not only selling the POS software but we are also the developer of the POS software and hardware. 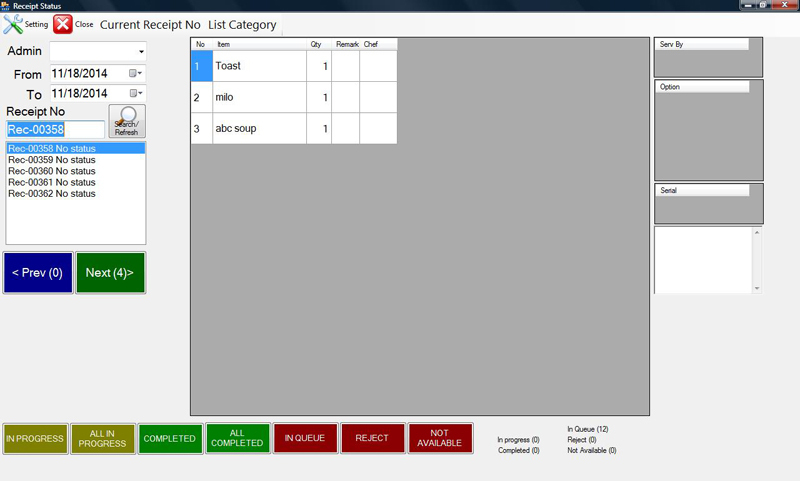 User can select the particular date to view receipt/ order made on that particular date. After every input, the user should click refresh to view updated data. 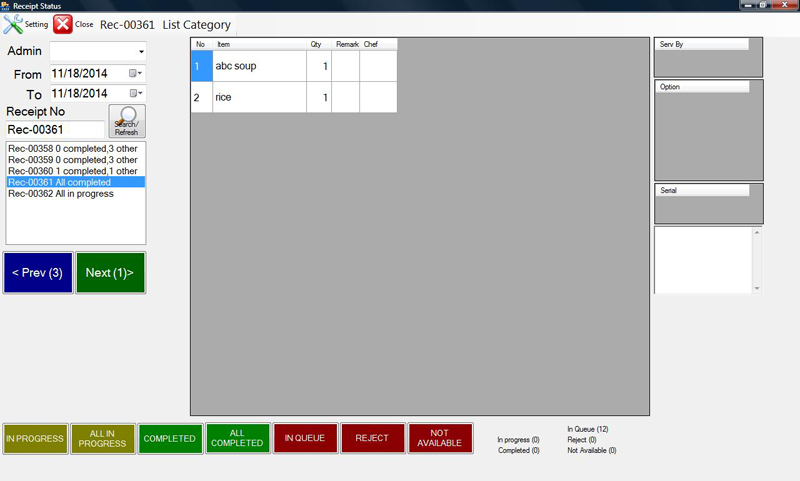 When a dish is being prepared, the user should select the current status manually. Status include: ‘In progress’,’All in progress’,’Completed’,’All completed’,’In queue’,’Reject’ and ‘Not available’. ‘1 completed’: ONE item on the particular list has completed and ready to be served. ‘3 other’: THREE more ordered items to be prepared.